The Kidsme Baby Mealtime Kit contains all the feeding essentials necessary to encourage a baby to learn self-feeding. It comes in a lightweight, compact, waterproof travel bag that is easy to take with you everywhere you go. 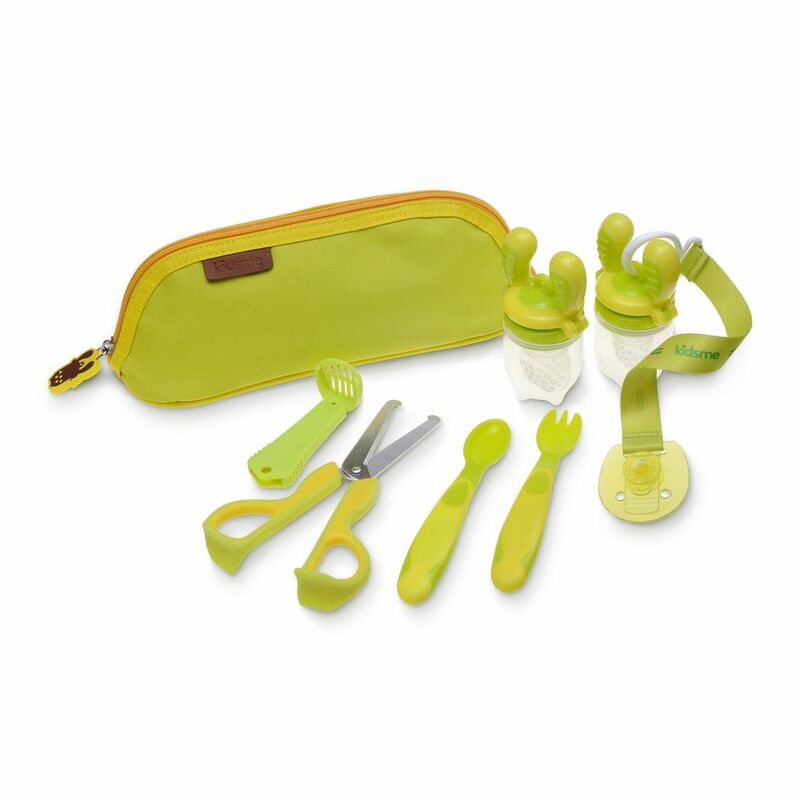 This kit includes one small and one large silicone Food Feeder, a 3-in-1 Scissors, one Pacifier Clip, one Spoon and Fork Set, and the Travel Bag.